Chrysalis is a complex structure made of very simple parts. 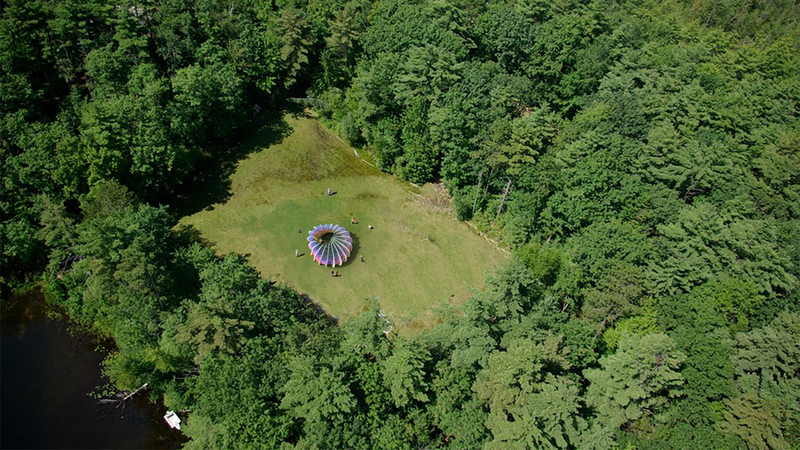 Proposed as a design-build project for a summer camp, the pavilion is designed to be built by a team of 100 campers in two weeks. 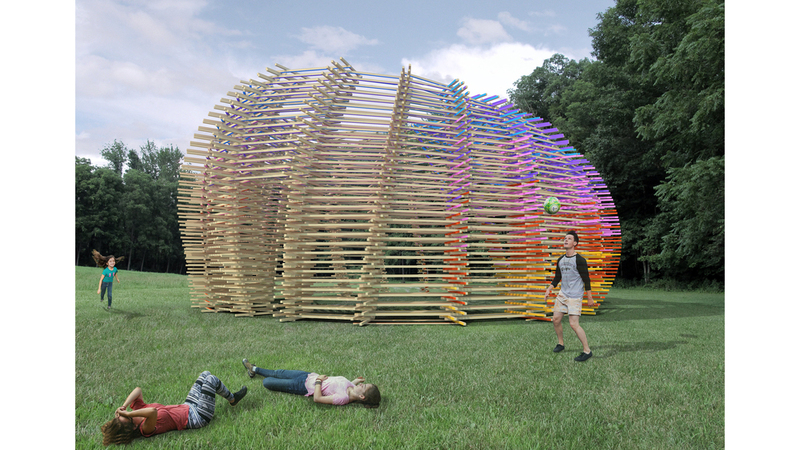 Its subtly asymmetrical, curvilinear form is constructed from standard 2x2 dimensional lumber members with varying coloration that produces constantly changing visual conditions as one moves around and through it. The pavilion becomes a filter through which one views the surrounding environment, the beautiful New Hampshire woods, and the summer sky. Its screen-like structure creates a sense of privacy and enclosure while also remaining open to the surroundings, and its oculus frames a direct relationship to the sky above. It becomes a focal space for the campers and staff to enjoy in a variety of ways as an outdoor classroom, informal play space, or small fire pit for s’mores and taking in the night sky. Like its namesake—the cocoons made by moths and butterflies—Chrysalis is a temporary, transitional structure made by those who inhabit it.